WELCOME TO MY FRENCH BULLDOG PAGE! 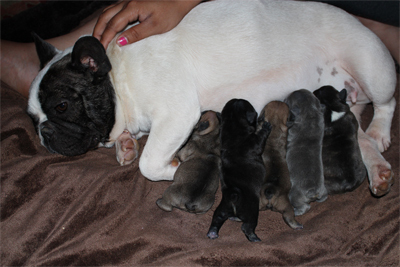 Mom is a smaller frenchie 20lbs that carries blue and the sire is the about the same size as well a blue fawn. The girls are the two sables (ay/ay) and the blue dd. 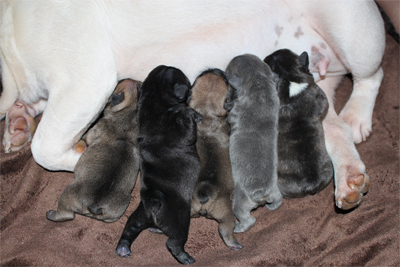 The boys are the black brindle and brindle with the triangle. © Copyright 2014/2015 Bybee's American Bulldogs (American Bulldog Association registered kennel name) All Rights Reserved.